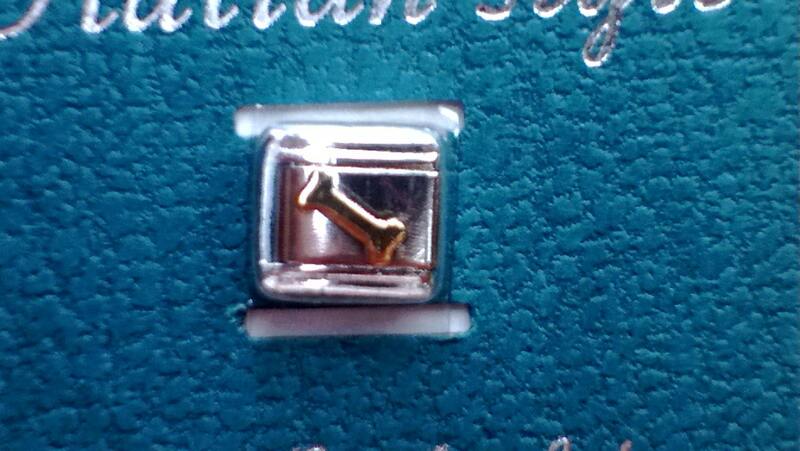 This "Dog Bone" link is meant to be used to customize the basic Italian Style Link Bracelet. It is made of stainless steel, and has a nickel finish. The actual "bone" is 24 kt gold plated. A wonderful bracelet addition for that devoted pet owner! 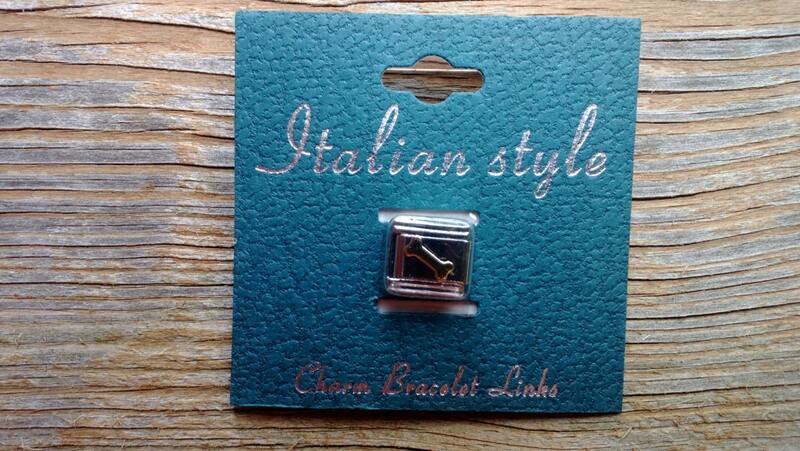 Please note: This link is intended to be used with an Italian Style charm bracelet. Bracelet not included.